This tour is a great option for everyone, including families and non-swimmers. A range of activities are available for all levels of ability. 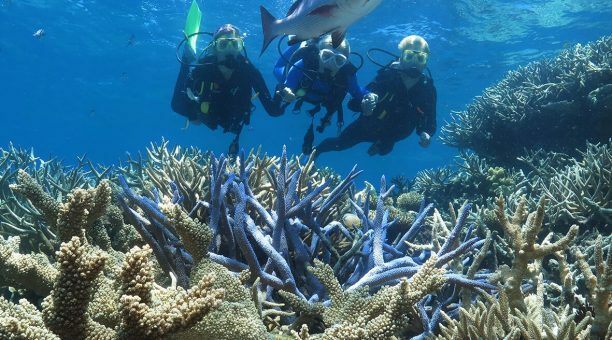 With so much to do, the Port Douglas Great Barrier Reef Pontoon has something for everyone. The Port Douglas Great Barrier Reef Pontoon is designed for comfort and convenience. The stable platforms provide easy access to the water. Covered areas provide shelter from the elements. 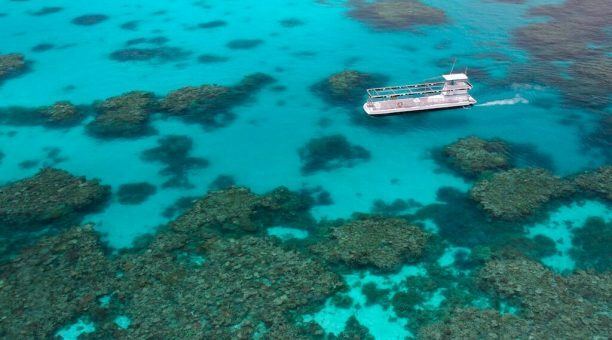 Unlimited semi-submersible tours and an underwater observatory allow you to see the reef without swimming. 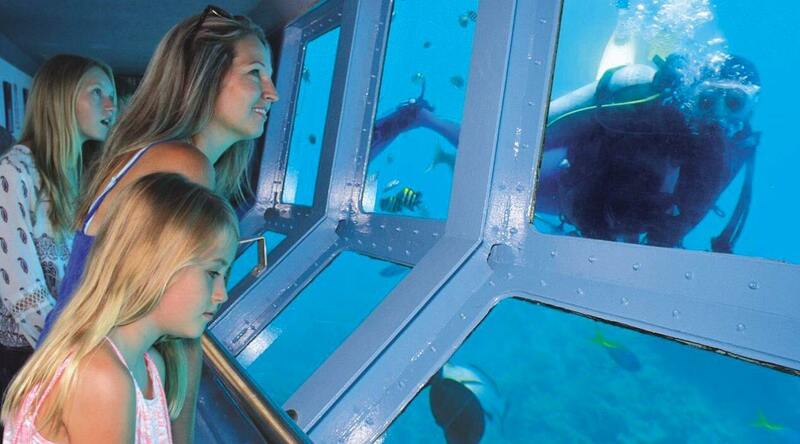 The Port Douglas Great Barrier Reef Pontoon is family-friendly and disability-friendly. 09:15am – Check-in a the marina to collect your boarding passes. 09:30am – Enjoy complimentary morning tea directly after you board. 10:00am – The boat departs. 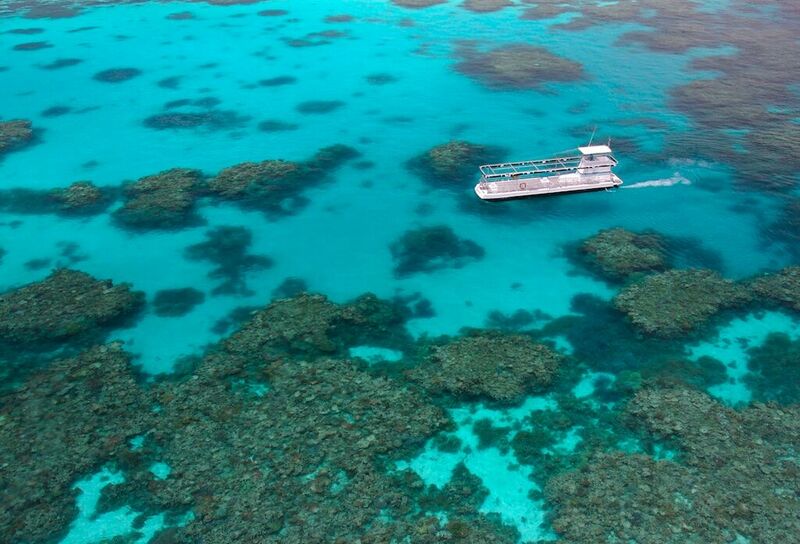 The large, stable vessel provides a smooth journey to the Outer Barrier Reef. 10:30am – Marine biology presentation and diving briefings. 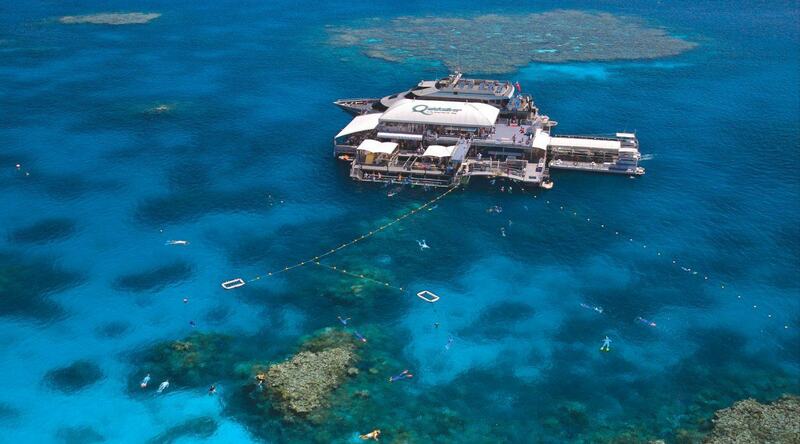 11:30am – Arrive at the Outer Great Barrier Reef Pontoon. The boat stays here for 3.5 hours, which gives you plenty of time to enjoy everything on offer. 12:00pm – 1:30pm – Lunch is served buffet-style. In addition, full bar facilities are available in case you want to purchase drinks. 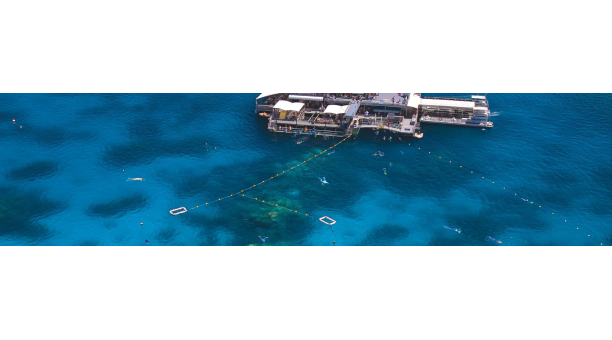 3:00pm – The vessel departs the Great Barrier Reef Pontoon. 4:30 pm – The boat arrives back in Port Douglas. 3.5 hours at a fixed Great Barrier Reef Pontoon. Stunning Outer Great Barrier Reef site. All snorkeling equipment and instruction. Semi-Submersible tours with commentary (weather permitting). Qualified life guard to watch all swimmers. 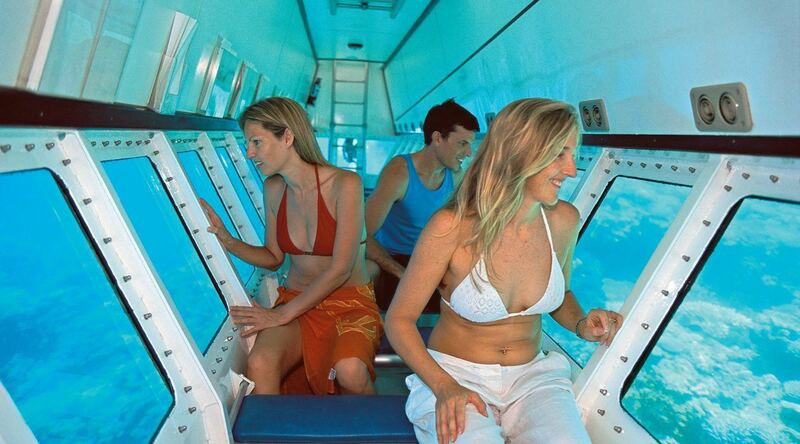 Underwater Observatory – See the life beneath without getting wet! Reef Presentation by a qualified marine biologist. Hot & cold tropical buffet lunch including prawns. Return bus transfers from your Port Douglas accommodation. (Please note: Transfers from Thala Beach and Silky Oaks are an additional cost). Get More Out Of Your Day! Underwater Digital Camera Hire available on board. 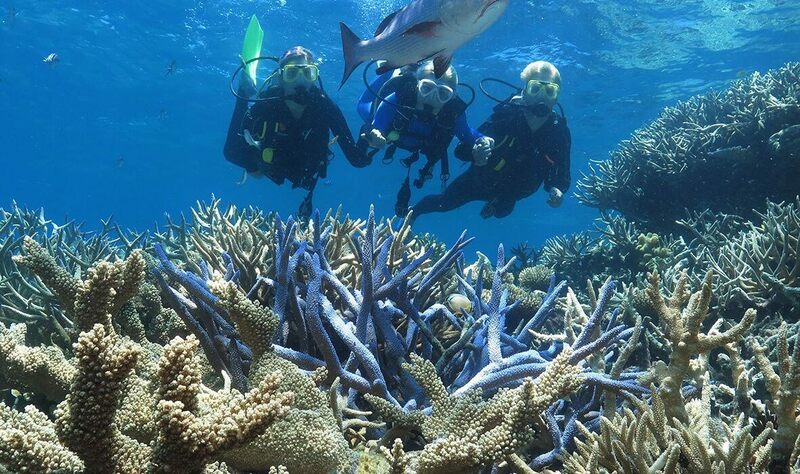 Marine Biologist Guided Snorkel Tour – Beginner Tour or Advanced Tour options are available. Scuba Diving* for qualified divers (Certified). Up to 3 dives available. ‘Resort Scuba Diving’* for beginners. No experience needed. Up to 3 dives available. Snack Bar Purchases: Soft drinks, ice cream, alcohol etc. Prescription mask hire if you require vision correcting glasses. Hotel transfers from Cairns and Northern Beaches hotels. *Subject to medical conditions – see ‘Important Information for Scuba & Sea Walkers’ below.